With the 2017 Academy Awards a mere three years away, it’s never too early for ambitious filmmakers to start planning how to nab a Best Picture Oscar, thus getting their genius validated by a statue of a tiny gold man. While there’s no sure-fire way to achieve this goal, this handy infographic might suggest some patterns. Those who take a close look at it may note that the title—Where To Shoot When You’re Aiming For An Oscar—is misleading. 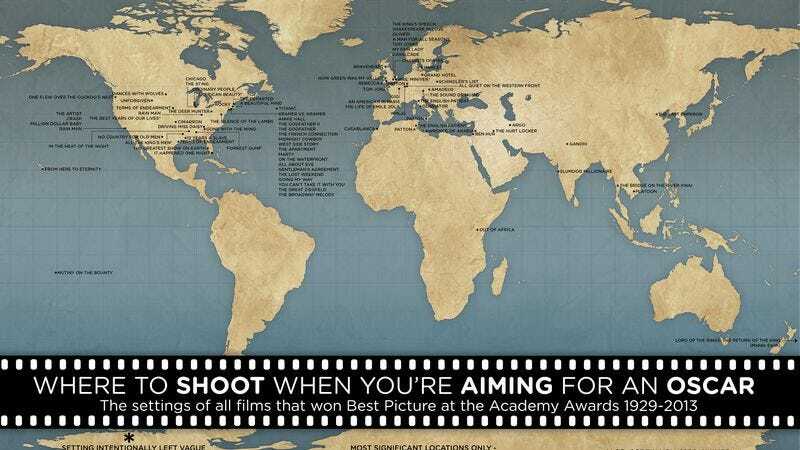 The chart indicates where each of the Best Pictures winners are set, not where they were shot, crushing the hopes of anyone who got excited thinking that Chicago might have actually been shot in Chicago, Casablanca in Casablanca, or The Lord Of The Rings: Return Of The King in Middle Earth. 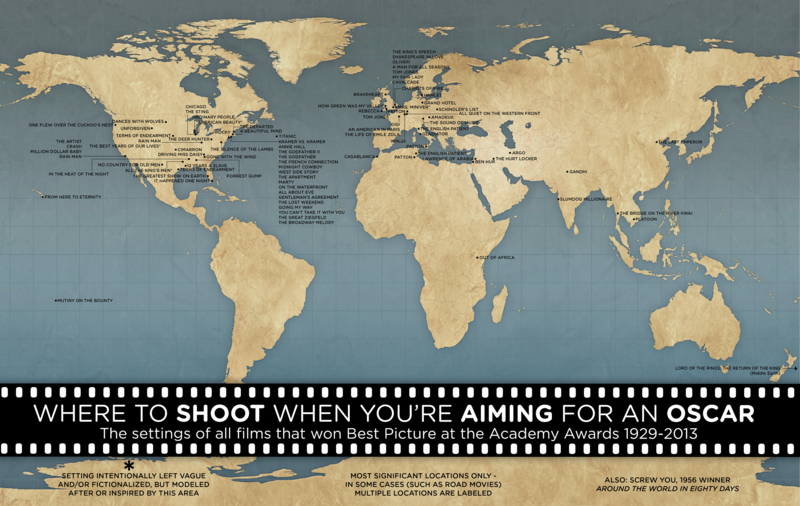 According to the infographic, winning movies have been set in places all over the globe, but directors looking for a sure thing are advised to go with London or New York City, the settings for 24 of the 86 winners to date. This also confirms the nagging suspicions of cosmopolitan urbanites everywhere that just over one-fourth of all things worth knowing occur in those two locations.